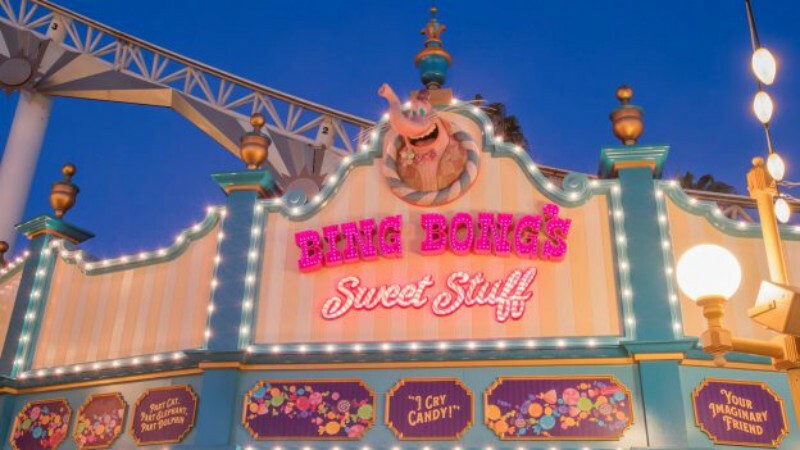 After not opening with the rest of Pixar Pier on June 23rd, Bing Bong’s Sweet Stuff finally debuted this weekend at Disney California Adventure! 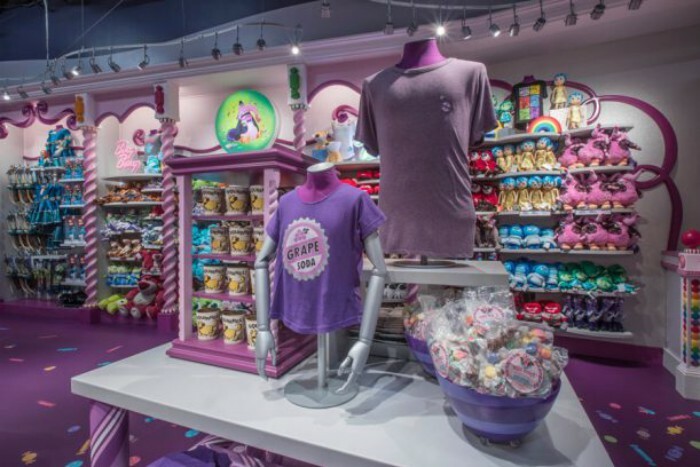 The shop is inspired the fluffy pink imaginary friend from Disney-Pixar’s Inside Out and features both colorful merchandise and sweet treats. 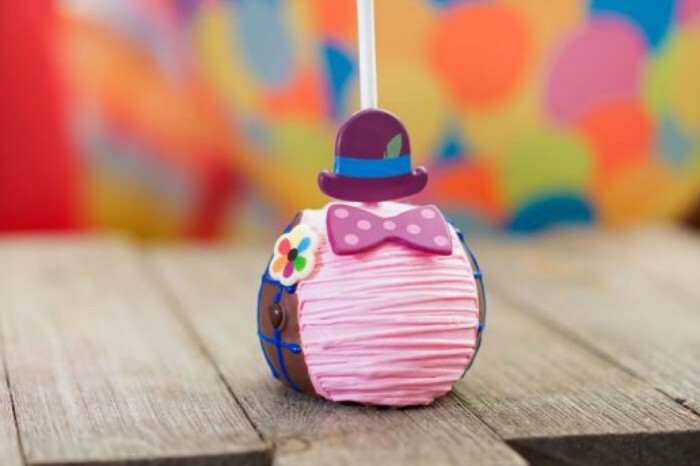 Last month, we gave you more details about the treats that Bing Bong is serving up! 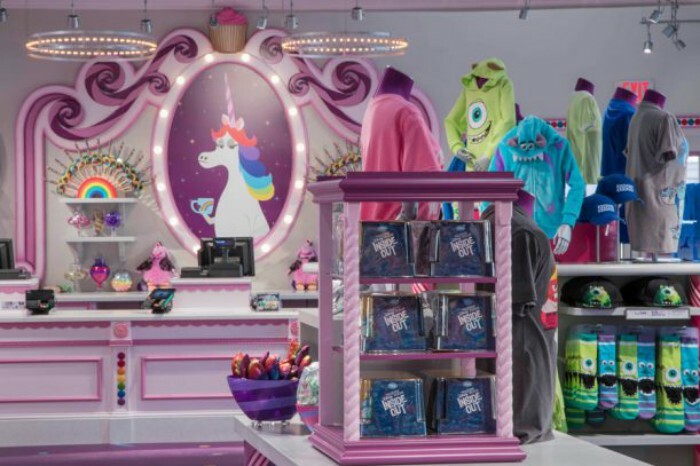 Look for clothing, toys, plush and more inspired by your favorite Pixar animated features. 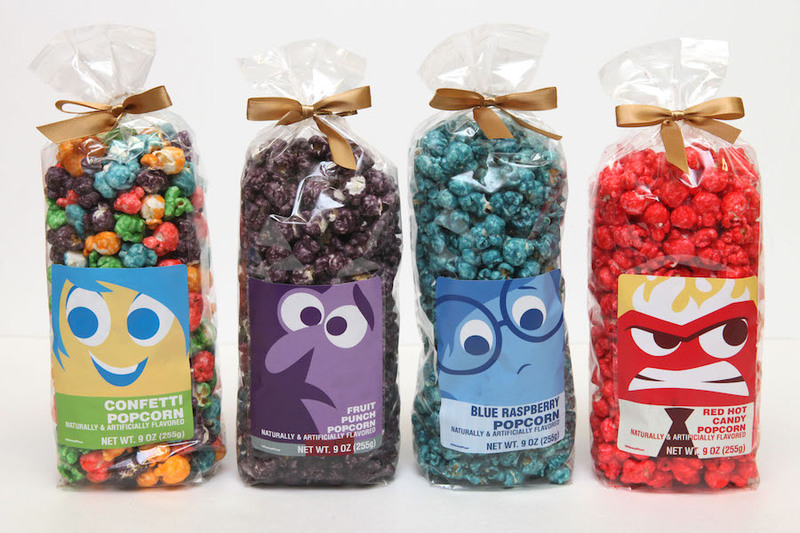 In addition to a full candy counter, packaged treats are available, including salt water taffy and flavored popcorn. In one corner of the store, Jangles the Clown pours Memory Refreshers. The frozen drinks come in a rainbow of flavors, plus specialty combinations themed to Bing Bong and the Rainbow Unicorn. 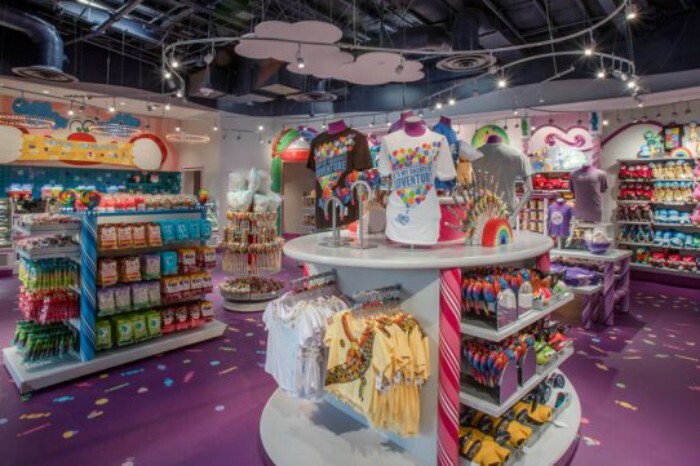 Bing Bong’s Sweet Stuff replaces the former Sideshow Shirts store on Paradise Pier.